When we have isolated a home well under market value, we give our private lenders an opportunity to fund the purchase and rehab of the home. Lenders can also earn high interest rates—generally 4 or 5 times the rates you can get on bank CDs and other traditional investment plans. There are many reasons, but the primary reason is, time and negotiation leverage. Many of the homes we are purchasing are in need of a quick sale within 10-14 days. A traditional bank requires up to 60 days to close a loan. Our leverage is far greater when we purchase using cash funds. Many traditional home sales fall out of contract because of financing issues, and this allows us to negotiate a much lower purchase price and reduce our risk. We make our money on the purchase. We may pay very high returns, but it allows us purchase 20-30% below a retail purchaser. That instantly creates thousands of dollars in equity. Also, typically we cut out the middleman in transactions, such as commissions, mortgage broker fees, and loan fees. Our attorney costs are lower because there is less for our attorneys to review. This is a great question and valid concern. However, our strategy is not to speculate 3 years down the road. Our goal is to purchase quickly and sell even faster. Most of our projects are complete in 1-2 months and will be sold in 4-5 months. The market doesn’t tend to shift that dramatically in a matter of months – it’s typically a longer process for an area to decline. Remember, we’re buying in strategic areas where inventory is already low and demand is high; this greater minimizes our risk. We currently pay 4-5 times what a typical bank CD is paying. Our rates will fluctuate very little. It depends on the purchase price and rehab involved. Most of our lenders are paid from 10%. With a lower purchase price, we can sometimes afford to pay a little higher rate to make sure our lenders make it worth their time. The majority of our loans are set up on an 8-12-month note, but it depends on the size of the project. If we are doing a teardown and rebuild, we will have to wait on the county inspectors for approvals. This can cause delays. 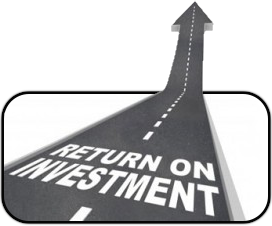 But we account for all of those details upfront and will give you estimated time frame for the return on your investment. What if I’m on a short-term note and sell the home after only a month? It’s extremely important to us that we do not waste your time. However, occasionally, situations may occur where we find a buyer immediately. In this scenario, we provide you with two options: we can either move the note to another property, or provide you with a minimum of three months interest. Most investors see the strength of our purchase ability at that point, and simply move the note to another property. No. There is no government backed guarantee on these privately held real estate notes. You’re deriving protection from the equity in the real estate. If at any time we were to default on the note, you have legal right to take the home (essentially foreclose on us). Many investors laugh about this one and say, “I hope you’re a day behind on payments I’d gladly take this one off your hands.” One investor even said that the worst thing that could happen was for us to pay off the loan. You have to remember we plan for the worst, and our homes have thousands of dollars of equity in them; and the worst case is we don’t make “as much” as we hoped for. Has the IRS approved using retirement accounts in this manner? We do. We pay for a title search and also a title policy on the home, just as we would in a typical transaction. If we purchase a renovation, we purchase a builder’s risk policy (Vacant Dwelling Policy). In case of any damage, insurance distributions would be used to rebuild or repair the property, or used to pay you off. In this unlikely scenario, we would simply transfer ownership of the property to you, if possible. If for any reason we did not (or could not), then you have all the legal rights of a secured lender. The best way to legally protect your interest in case of a default would be to hire an attorney. They normally would seek to get your investment back, any unpaid interest, any collection costs, all your attorney fees, and maybe even more. A legal representative could advise you if it makes sense to foreclose or seek ownership the property to protect or recoup your investment. Phone us at 512-807-8777 if you have further questions.